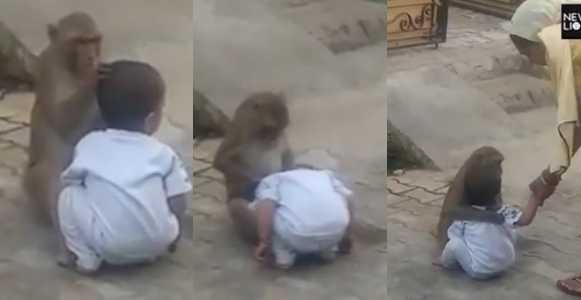 A monkey kidnapped a two-year-old boy from his home in India so it could have someone to play with and it refused to give the boy back to his family. The baby is thought to have been taken from a house in Haryana, India. 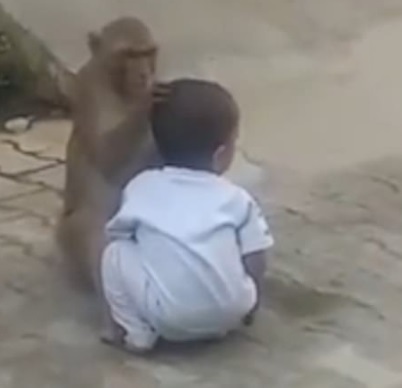 There have been other incidents of babies being stolen by monkeys in India. 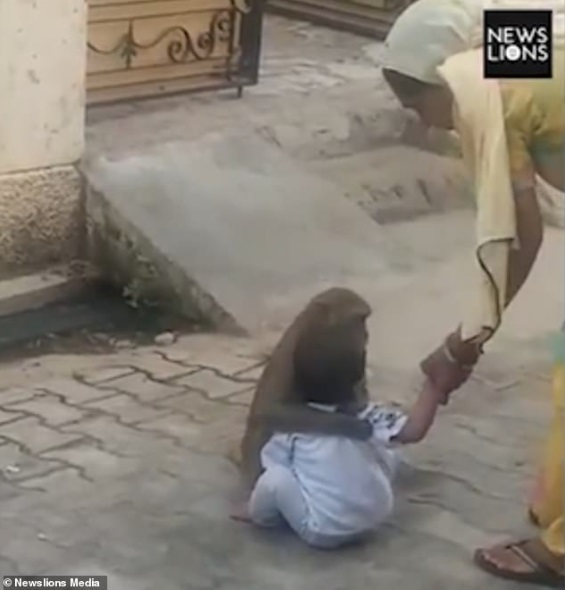 The monkey tried to escape with the child several times but members of the family circled it and aborted its plans. Also, last year, a newborn baby was found drowned in a well after being snatched away by a monkey. 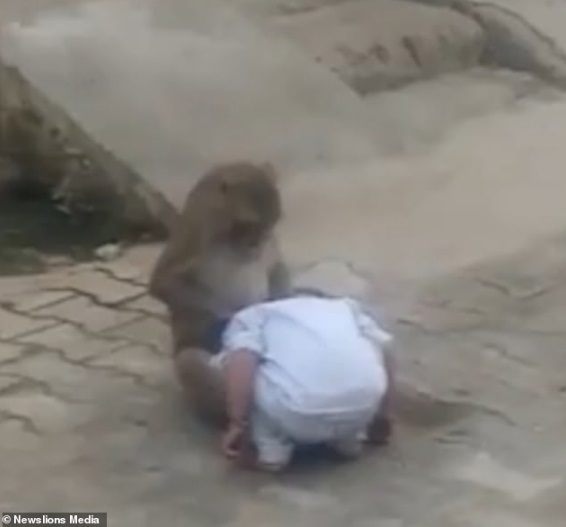 The monkey had mistakenly dropped the baby in the well as it slipped out of the hands of the ape and fell into the well.